What's the point of this guide? But of course the aim of foobar2000 is not to copy Winamp. It has so much more!! Check out the forum thread about this guide. Most of the interesting functions rely on components (sort of plugins), which are (in general) files with extention ".dll". To install a component, just put the file in the folder foobar2000/components/, where "foobar2000" is the installation folder for foobar. -The columns UI (foo_columns_UI), wich can be installed like a component. However, components which do not rely on a panel (e.g., iPod support, Last.fm, popup, most of them actually) will generally work with both UIs. Many other components only work with the columns_UI. However, you can install them in the default_UI, by the use of a special component called foo_dockable_panels. -The columns UI support many more panels, and allows more graphic customization. It has a longer learning curve, but if you are using foobar2000, you may not be scared by that. Regarding appearance, look at this gallery for an overview of the large possibilities. 1. Foobar is highly customizable. You will always be able to add a feature with a component, or to configure something the way you want. That needed to be said. 2. 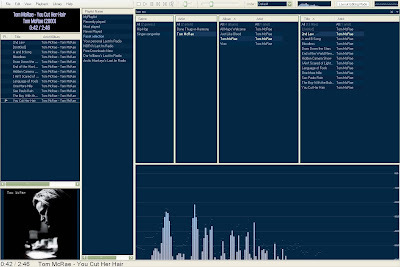 Foobar2000 works with playlists. 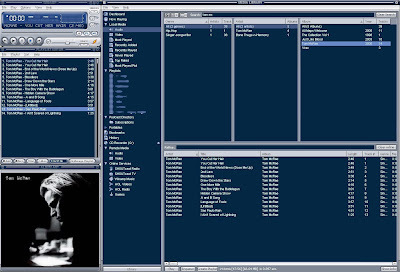 nlike Winamp, there is not "the Playlist", which is the current playlist showing the tracks played before and the next to be played, permanently displayed. Actually, you should have a panel that displays the content of the focused playlist. 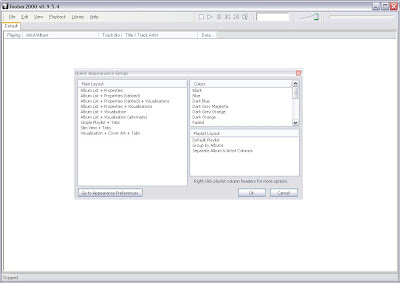 To change the focused playlist, you can use for example a playlist manager, which will be a list of playlist, or tabs, or a playlist switcher (a dropdown). -... well that's it. You can consider it's your current playlist. Double click on a track of that playlist, and the playback will just follow its content. The only thing is that it will not always displayed. It will disappear if you select another playlist. But you just have to select your beloved playlist to see it again. To do that, see that post. Now let's see what we have.